Having just finished reading Beyond Greek: The Beginnings of Latin Literature I am left with one or two questions, one of which I sincerely hope you will indulge. The premise you set out is that the Latin-speaking authorities, and many of the citizens, were unable or unwilling to learn the languages of those countries which the Roman Empire conquered, and relied on a series of translators and interpreters both for daily conversation and for the more official directives coming down from the Senate or other more local authorities directing daily life. You compare this lack of linguistic ability with those in our modern world who speak English and, since it is still considered an international language, expect everyone else to be able to comprehend them. It then seems strange to you, as it would to anyone else, that Greek epics, poems and theatrical works were not being translated into Latin until a very late stage in history, meaning that when performed for an audience who, because of their limited language education, the audience would be unable to understand the dialogue. This applies not just to Greek language works, but also to any other written or theatre work being performed in its original language, a state of affairs you assume since no written records have come down to us showing translations. 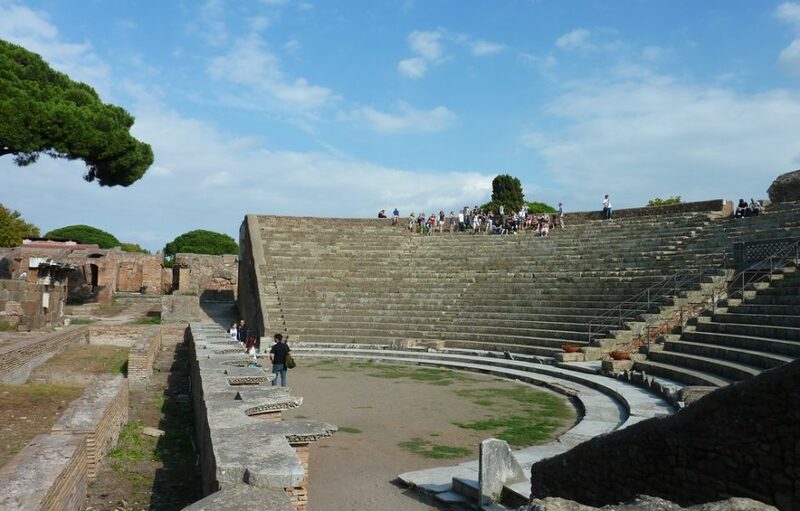 Elsewhere in your work, you comment on the fact that only a very limited number of foreign actors were presenting works on the Roman stage, and that many of those involved in a performance had to be locally recruited. These locals would not, as I am sure you agree, be versed in foreign languages and, therefore, unable to understand the very works they were taking part in. At the same time it is unlikely that they would have been stationary upon the stage, but would have been bringing the action and the story across to an audience through movement. What surprises me more than anything is that you do not go further with a fairly obvious thought which you air rather late in Beyond Greek, and that is the idea of a combination of mime and narration in the theatre. Many of the Greek theatrical works are introduced by a Prologue and accompanied by a Narrator so that the viewers may not only learn what has happened prior to the piece, but also the history of the characters about to appear and, once they are on stage, the various actions which take place out of the sight of that audience. Further, because of the size of many theatres – initially in Greece but later in Rome and other Roman cities – anything said on the stage could not have been heard more than five or six rows back from the stage area, and so a culture of exaggerated mime developed, with masks and specific clothing according to character, to ensure that the audience could see and appreciate who each character was and what his role had to be. The easiest solution to the problem of understanding a foreign language theatrical work imaginable is not so much that it be translated, but that it be made comprehensible to the audience. A narrator following and describing each scene and a heavy reliance on mime and appropriate clothing would solve this problem in such a way that, even when the words cannot be heard, at least the actions may be seen and interpreted. Surely this would solve the implied problem of audiences attending a theatrical work in a language they could not understand.